Currently, the world’s population totals more than 7 billion, and keeps increasing. This change in demographics is often mirrored by growing economic development, as can be seen in the BRICS, which has enabled millions to grow out of poverty, step by step. However, as extreme poverty decreases day by day, global inequality keeps increasing. Only some parts of the world sustainably accumulate wealth, reinforcing the gap between the haves and have-nots. The poorest and most vulnerable of society still struggle and hardly benefit from a global upward trend in economic growth. Aware of the ever-pressing issues the world faces as it grows, many youths in Japan and abroad are increasingly interested and engaged in international development, in an effort to understand global trends and have a say in the way the world is shaped. Despite their concern and determination, the opportunities available for those youths to interact with each other and build long-lasting networks are limited. 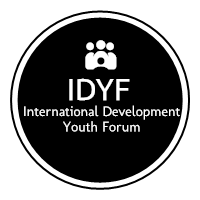 We founded the International Development Youth Forum in 2012 to provide the chance for youths with a strong interest in international development to meet each other, learn more about development issues outside of their home countries, share ideas on the subject, and work towards building a stronger global society, together. We also seek to provide more than a one-week conference, and strive to establish a strong, long-lasting network between an ever-increasing group of strong-willed youth to create and implement solutions to international development in their own communities, bringing back home their IDYF experience and newly-gained expertise. Our goal is to create a better future based on the diverse values and experiences of youth from around the world. We aim to empower youth, and shape them into leaders of a fairer, more sustainable future, through debates, problem-solving, and networking with peers from a variety of backgrounds. We create and support long-lasting networks by inviting youth from all over the world in one place, for one week. We strengthen and build the network of participants, by inviting more participants to the forum every year. We develop a network among all past participants of the forum by organizing alumni reunion online and in person. We provide the opportunity to broaden one’s knowledge and mindset through lectures and fieldwork, according to the theme of the forum. We foster the opportunity to challenge one’s value through discussion in which participants are faced with taking part in general and case study-specific debates. We strive to produce outcomes which can actually profit society, beyond merely satisfying participants. We wish to make IDYF a stepping stone for participants to refine their knowledge and determine how they can impact international development, wherever they are in their career. 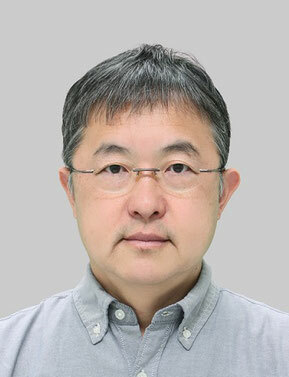 I must begin this message with the fact that this forum's former adviser, Professor Nobuhiko Fuwa of the University of Tokyo, passed away suddenly and prematurely in 2018. Nobu was one of my dearest friend as well a very respected scholar and educator for more than 35 years. I still cannot overcome losing Nobu, but as one of the researchers in development economics, it is my honor to take over his role of supporting this forum. As was stated in Nobu's message earlier, I agree that days spent at University are very precious. It is because we can debate and argue over the meaning of our lives, their values, how can we be better contribute to the world, and how we can be happy at the same time- without bothering too much about our time constraint. To enrich our ingredients with which to discuss these important matters in life, interacting with people from all walks of life over the globe without pre-packaged self-interests would be very precious and such interaction would go a long way to forming our lifetime assets. Mr. Muramatsu, this year's representative for this forum, informed me that the participants are solicited through Facebook to which quite many applicants would respond. I, who belong to the "analogue-native" generation, cannot help feeling a gap with the "digital-native" generation.But I believe it is your digital native generation that should open up to the new ideas and experiments to lead the world for the better future- but do not leave our analogue-native generation behind, please. As I see the recent development of the world, it seems to be receding from a liberal and open global society towards a narrow-minded self-interest based one century ago. I hope this forum blows away such negative image and helps redirect the discussion towards an open global society. Finally, I would have to repeat my dear friend Nobu's words: "How exciting it would be to have such friends scattered all over the world for the rest of your life! Had IDYF existed 30 years ago when I was a college student, I would no doubt have joined the forum without hesitation."